The South African public broadcaster fires Chris Maroleng as SABC COO who plans to appeal his disciplinary and getting fired; says he's 'quite devastated' and his axing marks 'a low-point in my career' as he 'let down so many people who had placed so much trust in me'. The South African public broadcaster on Tuesday afternoon fired Chris Maroleng as the chief operating officer (COO) of the SABC, with Chris Maroleng who plans to appeal his disciplinary hearing as well as his firing by the SABC board, saying he's "quite devastated"' and that his axing marks "a low-point in my career" as he "let down so many people who had placed so much trust in me". Chris Maroleng's tenure as SABC COO lasted just over a year since he was appointed in January 2018 as chief operating officer to replace the fired Hlaudi Motsoeneng who was SABC COO before him. The SABC in a brief statement on Tuesday afternoon said "The South African Broadcasting Corporation (SABC) board met on Tuesday, 23 April 2019. After due consideration of the findings and recommendations of a disciplinary process, the board resolved to terminate the contract of employment of its chief operations officer, Chris Maroleng, with immediate effect". Earlier this month Chris Maroleng was found guilty on 3 out of 4 charges, including gross negligence and breaching fiduciary duty, following a disciplinary inquiry against him that was started in late-2018. The SABC also investigated the alleged protection of Chris Maroleng of Marchi Mahlalela, the SABC's former acting SABC Sport boss, who resigned from the SABC following her own disciplinary hearing. Another charge involved appointing Carmen Schneider, a human resources staffer to Chris Maroleng's office to manage his turnaround management programme that he started and called "Sparkle". The SABC said that Chris Maroleng ignored HR advice and gave Carmen Schneider an allowance of R15 000 to be the Sparkle project leader despite an agreement with the SABC HR boss, Jonathan Thekiso, that there would not be any changes to Schneider's terms of employment, contract and salary. 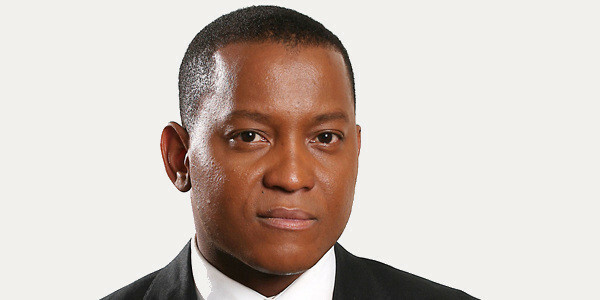 Chris Maroleng told Ray White on EWN in a radio interview on Tuesday evening that he plans to appeal the finding of the disciplinary committee, and is also considering appealing the decision of the SABC board to fire him. Chris Maroleng said he feels "quite devastated" and that his firing marks "a low-point in my career". "Most likely going to appeal this decision to dismiss," Chris Maroleng said. He also said "it's personally, unfortunate for me to have let down so many people who had placed so much trust in me and my ability to turn around the SABC. For that I deeply regret and I'm sad that I was unable." "I'm all my action at the SABC I didn't act out of self-interest, I didn't act to enrich myself." On Tuesday night, Bongumusa Makhathini, SABC board chairperson in another interview, also on EWN, this time with Karima Brown, didn't want to say publicly what the South African public broadcaster charged Chris Maroleng with and what the findings were. "Basically that becomes part of the details between us and the former COO. I don't think that would be fair of us to put that out in the public domain. Suffice for us to say that there were four charges and he was found guilty on three of the four". Media Monitoring Africa (MMA) welcomed the firing of Chris Maroleng from the SABC, with MMA director William Bird who told Jacaranda FM that "it sent a positive message about effective and transparent governance". The second episode of new Game of Thrones season leaks - again - as the show causes pay-TV streaming services to crash - again. The second episode of the latest 8th season of HBO's Game of Thrones seen on M-Net (DStv 101) again leaked, just like last week, before the official broadcast, again leading to millions of people worldwide illegally downloading and sharing it globally before its proper TV airing. Last week before the debut of the 8th season, the first episode of the fantasy drama series was accidentally released by the American pay-TV service DirecTV on its DirecTV Now service four hours before it was supposed to become available at the 03:00 broadcast time in the morning, South African time. On Sunday is happened again when Amazon Prime Video in Germany accidentally made the second episode available too early, with the episode that found its way to the Openload website from where it spread across the world even though it was immediately removed from Openload. Already multiple grab-and-uploads of the season's second episode are swirling across the interweb torrents. Amazon Prime Video in a statement says "We regret that for a short time Amazon customers in Germany were able to access episode 2 of season 8 of Game of Thrones. This was an error and has been rectified". In the past pay-TV operator Star India leaked the 4th episode of the 7th season when 4 workers breached its data management system and saw the episode go viral globally. That was followed by HBO Spain and HBO Nordic territories just a few weeks later in August 2017 that accidentally leaked the full high definition penultimate episode of the 7th season of Game of Thrones days before its supposed broadcast date that also saw that episode instantly go global. To prevent something like that happening from Africa and M-Net possibly falling victim to something similar or a leak, M-Net already twice upgraded and made mandated improvements as requested by HBO to safeguard digital video content. HBO audited M-Net's broadcast facilities and its content security standard operating procedures (SOP) regarding content management, storage and playout that have been put in place specifically for Game of Thrones. 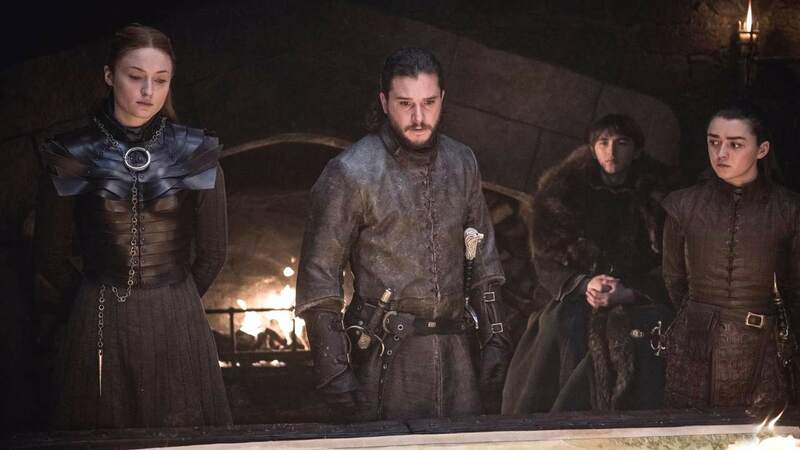 Last week the British pay-TV service Sky's streaming of the first episode of Game of Thrones' 8th crashed on its Now TV app on Apple TV set-top boxes and on the HBO Nordic streaming service in Norway, Denmark, Sweden and Finland. The same happened with MultiChoice's streaming of the episode at 03:00 on M-Net (DStv 101) that also failed for the majority of users in South Africa and across Africa when its DStv Now app crashed with technical problems, and for which it later apologised. In America, HBO's streaming services HBO Go and HBO Now also crashed today again because of Game of Thrones, just like last week, and in New Zealand pay-TV streaming viewers are also frustrated again like last week. After the linear broadcast of the second episode of Game of Thrones, that South African viewers will see at 22:00 tonight, New Zealand subscribers of the Sky pay-TV service have been unable to access the episode on its Neon catch-up service. Although the same thing also happened last week in New Zealand but just affecting the Game of Thrones episode, this time the entire Neon service in New Zealand crashed with customers unable to watch any series or movies. SABC3 on-air broadcast blackout on Easter Sunday afternoon goes unexplained by the public broadcaster. The South African public broadcaster's SABC3 channel suffered an unexplained on-air blackout on Easter Sunday. The abrupt on-air outage that lasted for about 15 minutes on Sunday afternoon, interrupted a rebroadcast of the magazine show, Top Billing, produced by Tswelopele Productions. There's been no explanation or apology from the SABC, and nothing from SABC3 on the channel's communication on social media. Viewers complained and wondered what was going on, but got no response from the SABC or SABC3. "SABC3, is it only my TV or you're down?" asked Stephen Lekoba on Twitter. "SABC3 currently dead air. Black screen. Should SABC remain open for business or shut its doors?" asked Neil Stoffberg. "They are insolvent." "This SABC3 broadcast blackout couldn't have come at a really bad time," said Tinock. "More than 10 minutes of Top Billing that I've missed out on. I'm so frustrated". On SABC3's Facebook page Ne Lokuwe asked, "SABC what's wrong??" but got no response or reply. "What's going on?" asked Olwethu Yamba. "Was watching Top Billing and y'all just went blank." "What's going on?" asked Megan Adderly. "Blue screen ..."
"The next minute there's Top Billing, the next minute there's no Top Billing. Nxa!!!" said Joules Winnfield. Zimbabwe arrests Australian TV producer and reporter over alleged kidnapping attempt of DNA doctor. Zimbabwe has arrested and questioned Australian journalists on-assignment in the country after a doctor accused them of trying to kidnap him. The Australian TV news producer Stephen Rice, as well as TV reporter Matt Doran, who are on-assignment in Zimbabwe to film a report for Australia's current affairs magazine show version of Carte Blanche, Sunday Night, were arrested and escorted from their hotel in Harare by police. After they were questioned on 15 April, they were released with Stephen Rice who has now left Zimbabwe but with Matt Doran who is still there. It follows after a DNA specialist Dr Tinashe Mugabe claimed that the producer and journalist were trying to kidnap him. Matt Doran and Stephen Rice visited Harare as part of a story around Abigail Prangs in Australia who was thrown away as a day-old baby and left next to a road in Harare in 1983, and now wants to use DNA tracing to track her family heritage. Dr Mugabe told Australia's The Sunday Telegraph that "I did open a case against Stephen Rice and Matt Doran at the Harare Central Police - attempted kidnapping. I went to the Mieckles Hotel myself accompanied by police and they were arrested that very same night". Australia's Channel Seven in a statement to the newspaper says: "Channel Seven can confirm there was a dispute involved. Matt helped police with inquiries and the matter was dropped without any official charges being laid". Dr Mugabe, the director of Global DNA, told The Sunday Telegraph that "they sent two Zimbabwean guys into the office and lied to me that there was someone in the car who couldn't walk and needed DNA help. So they asked me to help them while in the car". "When I got close to the car they guy asked me to get in ... I greeted him, then tried to pull me inside" and that "I couldn't go anywhere". "Then they began filming me and throwing accusations. They were saying, 'What was the result, why did it come out negative?' The alleged mother was not Abi's mother. But that was not the result they wanted." After 50th Two Oceans Marathon is a SABC no-show, concerns growing that 94th Comrades Marathon will be the next TV running blackout, as broadcast failure highlights one of the flaws in regulator's misguided proposed plan on sports rights regulation. After the SABC failed to broadcast the 50th Old Mutual Two Oceans Marathon in South Africa on Saturday, concerns are growing that South Africa's 94th Comrades Marathon on 9 June is going to be the next victim of the financially decimated public broadcaster. Meanwhile the massive no-show failure highlights one of the fatal flaws inherent in the South African broadcasting regulator's plan to change sports rights regulations in the country. Sunday newspapers like The Sunday Times and City Press are today reporting what TVwithThinus reported on Friday, that the Comrades Marathon - now about 50 days away - is now next at risk of not being broadcast on South Africa television. The behind-the-scenes play-by-play is complex but simplistically put the Old Mutual Two Oceans Marathon and the Comrades Marathon, falling under the banner of Athletics South Africa (ASA) has to be shown on the public broadcaster, or in other words, the SABC has to be approached first. Then what happened is that no agreement could be reached with the SABC that said there was "no agreement between us and ASA to broadcast the race" after negotiations between the broadcaster and the ASA failed. Because there is no contract between Athletics South Africa and the SABC because the SABC doesn't have the money, ASA didn't have enough time to approach other broadcasters like e.tv or possibly MultiChoice or SuperSport. Indirectly it's a great example of the massive problem, dangers and fatal flaws all lurking in the ill-informed and misguided plan and draft regulations of South Africa's broadcasting regulator, the Independent Communications Authority of South Africa (Icasa), over sports rights. Icasa wants to set up rules controlling what sports broadcasting rights can be picked up and signed by pay-TV outlets like SuperSport, and what must be on the public broadcaster, e.tv and elsewhere,or be made available to others besides SuperSport. The massive problem in the proposed legislation is exactly what the 50th Old Mutual Two Oceans Marathon no-show beautifully illustrates: When a certain broadcaster, channel or pay-TV option is deliberately blocked or prevented from airing and covering a certain sports event, it doesn't mean that the one or others mandated to carry and cover it will - or will be able to, do so. While the SABC had the (first) option and chance to broadcast and cover the 50th Old Mutual Two Oceans Marathon on Saturday it didn't and couldn't or wouldn't - either because it didn't want to pay for it or couldn't afford it. Meanwhile SuperSport wasn't "allowed" to take pick it up from the start or also negotiate for it from the start. Just because some food is set aside in a separate pen for another animal where another animal can't get it, it doesn't necessarily follow that it will be eaten. Neither the animal without access eats it, nor the one given it, with the end result that it goes to waste. In this case of the 50th Old Mutual Two Oceans Marathon - and perhaps the upcoming 94th Comrades Marathon and maybe more after that - the end result is that not just South African viewers suffer but viewers wanting to watch and follow South African sporting events globally. According to Keletso Totlhanyo, general manager of the Comrades Marathon Association (CMA), the Comrades "has sent a request to Athletics South Africa (ASA) for permission to engage with the public broadcaster while the SABC/ASA negotiations for a long-term broadcast agreement are still going on". SABC spokesperson Vuyo Mthembu told The Sunday Times that the SABC "would like to show events like the Two Oceans Marathon but unfortunately couldn't conclude a deal with ASA". Keletso Totlhanyo about the 94th Comrades Marathon told The Sunday Times that "if there is no contract there is nothing we can do". TV CRITIC's NOTEBOOK. 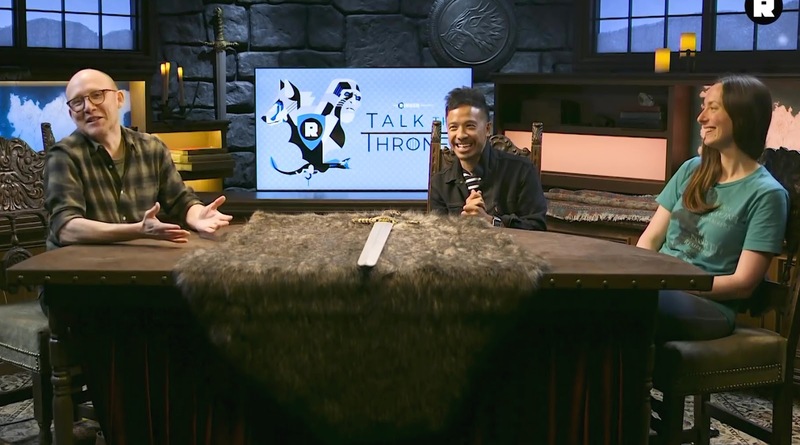 Talk the Thrones remains the best aftershow for Game of Thrones and is back with weekly episodes for the 8th season; while Showmax weirdly missed the chance to create its own South African video podcast about it. Talk the Thrones remains the best aftershow for HBO's Game of Thrones seen on M-Net (DStv 101) and Showmax, with the American video podcast that is back to comment on every episode of the 8th and final season of the fantasy drama series. At the same time it's very odd to note how Showmax as a video streaming service, and with months and months to plan, did absolutely nothing to create and make a weekly South African aftershow video podcast about Game of Thrones available that it could easily have done. Coming in cheaper than its cheaply-produced and embarrassing Runnin' with Skhumba, a South African Game of Thrones aftershow can easily have high production values and add a lot of content value to a service like Showmax with three or so informed experts around a desk talking about their favourite fantasy show and filming them. Now Talk the Thrones is back, now on The Ringer, with weekly episodes released right after Game of Thrones episodes in which the panel of experts once again discuss, analyse, dissect and speculate about what they've seen in the latest episode. The must-watch Talk the Thrones is the renamed After the Thrones aftershow that M-Net brilliantly grabbed and added in 2016 for Game of Thrones' 6th season in 2016 as a companion show that it would broadcast on its then M-Net Edge channel after episodes of Game of Thrones. Andy Greenwald and Chris Ryan discussed and analysed every Game of Thrones episode and while M-Net dropped it for the 7th season when it moved to Twitter and was renamed Talk the Thrones, it remained additional must-watch television for fans of the fantasy book and TV series. Personally, I've watched it and have seen every single episode since its aftershow covering the 6th season and now Talk the Thrones is back on The Ringer and can be watched on Twitter or YouTube weekly since this past Monday. Chris Ryan is back, this time with Mallory Rubin and Jason Concepcion who were guest panellists in previous seasons. If you like Game of Thrones, you will very likely enjoy the very deep and highly-informed Talk the Thrones discussion. The odd thing however is that MultiChoice's subscription video-on-demand (SVOD) service Showmax that is looking for content and new local content, and is also carrying the 8th season of Game of Thrones, did absolutely nothing to try and secure something like Talk the Thrones - or to create or carry it's own local South African version. Making episodes available at the same time as M-Net (DStv 101) on Mondays at 22:00, Showmax has come across as seemingly somewhat desperate and over-zealous in efforts to also try and cash in on the big Game of Thrones craze in the run-up to the new 8th season. Yet, where it matters beyond mere marketing and where something like a cool little local aftershow could have made a real brand differentiation for Showmax, Showmax did ... nothing. It would have been absolutely great for viewers and fans of Game of Thrones - and for Showmax - to set it apart further from M-Net if it could have said something like: "After watching Games on M-Net on Mondays at 22:00 - or why not just watch it on Showmax from the beginning - stay without switching and watch The Games Show on Showmax where we discuss everything you want to talk about and simply need to know after the latest episode of Game of Thrones". Or what about getting Talk of Thrones? Although not local content, just like it was on M-Net Edge, it would have been a perfect video streaming add-on addition for Showmax, and perfectly suited for what a video streaming service is and should be. The aftershow keeps a viewer already watching Game of Thrones engaged and watching even longer, just like what M-Net did. If you know television, you would know that genre and fantasy show fans who simply can't get enough of this stuff and this specific show, would definitely tune in to an explainer aftershow about Game of Thrones. Showmax could have easily gotten some really informed and obsessed South African fans, experts and TV critics together around a table with a mic and a video camerar for a unique aftershow for which zero licensing intricacies are required. Just like what SuperSport does with after-match analysis and experts weighing-in with a separate show that is related, yet unrelated to the visual content of the actual match, aftershow series and video podcasts discussing drama series from The Walking Dead and Star Trek: Discovery to The Orville and whatnot allow fans and viewers to get even more insights, commentary and analysis of what they're already watching and really like to hear and see and find out more of. What a wasted opportunity for local content by Showmax and a wasted opportunity to cash in on the enthusiasm under South African and African viewers for a hugely popular show. What happens now is that really committed viewers who want even more content and analysis around Game of Thrones leave M-Net and Showmax as platforms and then go elsewhere to YouTube and Twitter to find great aftershows like Talk the Thrones, where if Showmax offered something more, some very likely would have stayed put for longer. UPDATE: Wow. Some more context after some more online content discovery. So there already actually exist South African produced Game of Thrones aftershow podcasts. Who knew? Well, Showmax knew, and not only that, but has engaged with some of them and sent them stuff. A podcast called The Night's Watch is done by entertainment content creator Lelo Boyana, with Pearl Boshomane Tsotetsi and Thabang Phetla. WOW 🥰 Thank YOU so so much The Grand Maesters Of @ShowmaxOnline for this thoughtful gift! Showmax literally took the time and effort and spend money to make and send to some of the media covering Game of Thrones in South Africa, personalised things like this - including to The Night's Watch - that it actually knew about. Why didn't Showmax rather partner up and invest properly a bit of money to bring something like The Night's Watch as add-on, local content to its platform and to make it a thing? It would have been great if something like this was actually on Showmax from when the 8th season of Game of Thrones began. 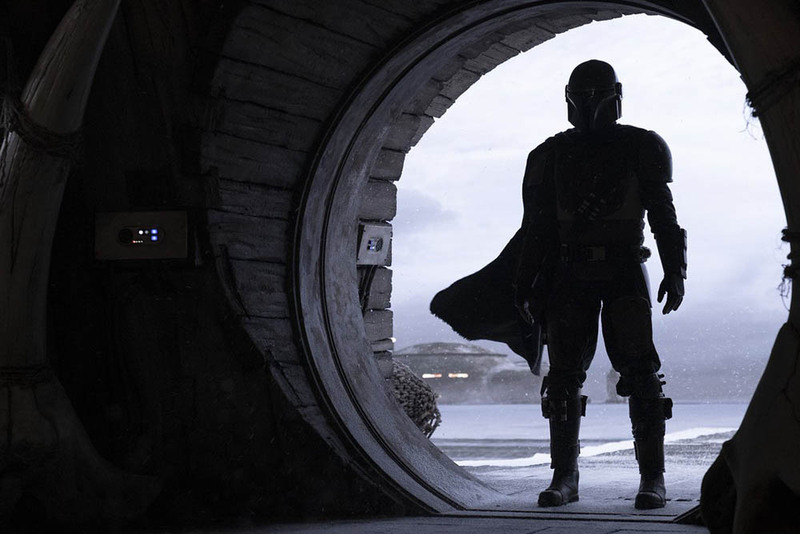 Star Wars reveals first details about its live-action drama series, The Mandalorian, for its Disney+ video streaming service and how real-life Stormtroopers used as on-call extras suddenly became an on-set test audience. 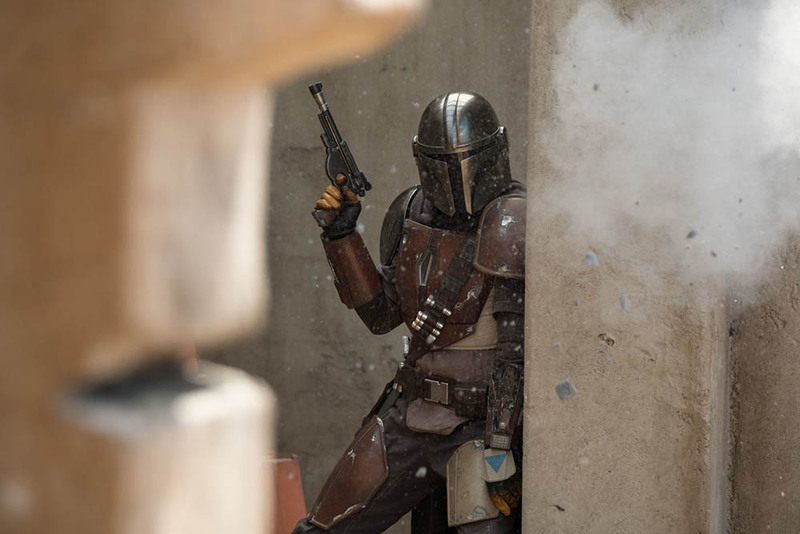 Lucasfilm and Disney gave the first look and more details about the upcoming first-ever live-action Star Wars drama series, The Mandalorian, written and directed by Jon Favreau for Disney's upcoming new Disney+ video streaming service with the showrunners who explained how hiring some cosplay Stormtroopers as on-call extras suddenly created an on-set test audience. At the Star Wars Celebration in Chicago during The Mandalorian panel discussion, Disney and Lucasfilm released 4 publicity photos and a 3-minute behind-the-scenes look of footage, featuring Pedro Pascal's Mandalorian warrior, Carl Weathers' Greef Carga as the head of a guild of bounty hunters, and Gina Carano's character of Cara Dune as a former Rebel Shock Trooper. The Mandalorian is set after The Return of the Jedi and before The Force Awakens, in a period of extreme turmoil, political uncertainty and lawlessness in that "galaxy far, far away" with Dave Filoni who directs the first episode as co-executive producer together with Lucasfilm boss Kathleen Kennedy and Colin Wilson. The Mandalorian will become available on Disney+ on 12 November when the new video streaming service launches in the United States and is set "5 years after the death of Darth Vader". The protagonist makes use of a spaceship called Razor's Crest, described "a reflective silver old army gunship", and is a citizen of the underworld on the outer reaches of the galaxy - "a character you've never met before, a period of time you've never seen". With Africa and South Africa not forming part of The Walt Disney Company's initial rollout of Disney+ and Disney's existing linear TV channels like Disney Channel, Disney XD and Disney Junior on MultiChoice's DStv satellite pay-TV service not appropriate for the show, it's highly likely that many Star Wars fans will be "sailing the high seas", meaning downloading and sharing illegal copies of The Mandalorian series from November. That is unless Disney possibly sells content like The Mandalorian through its international TV distribution division in the way it has been doing with series produced by its Disney Television Studios, ABC Studios or 20th Century Fox Television (all now owned by Disney). While the 3-minute footage of the show is blacked out from the live-stream feed, the rest of the fascinating panel discussion can be seen on YouTube in which Jon Favreau and Dave Filoni discuss the origin of The Mandalorian as well as its setting and time frame. 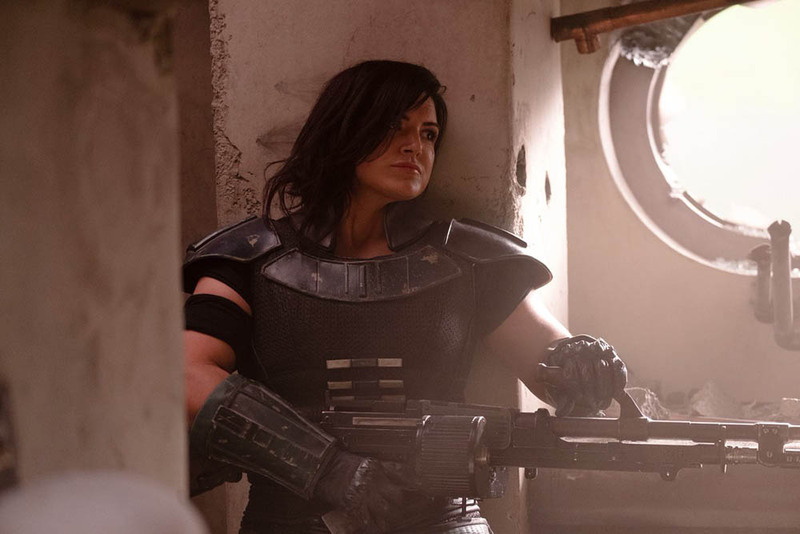 The Mandalorian is described as having a tone of old "gunslinger Westerns", mixed with Star Wars' science fiction elements. "Fantasy fulfilment that's what's like," said Pedro Pascal about the role. "I don't know what I can and can't say. The Mandalorian is a mysterious lone gunfighter on the outer reaches of the galaxy. Some would say he has low moral character - he's badass." Jon Favreau and Dave Filoni shared a funny, fascinating story about how they didn't have enough Stormtroopers and put out a call to recruit cosplay members of the 501st Legion to help portray Stormtroopers in The Mandalorian. "So we're making the show and we're starting to bring in some vestigates of the Empire. And we had done some planning and there was a scene where we needed Stormtroopers," said Jon Favreau. "We had our production meeting and after seeing the set we realised we didn't have enough stormtroopers to make the impact. There were only so many Stormtrooper uniforms we had and we were concerned that it was not going to do the trick for the storytelling." "So we hatched a plan. Has the 501st Legion actually ever been on camera?" asked Jon Favreau. Dave Filoni continued and said "we put a call out and said we need a bunch of Stormtroopers. And they came down, out of nowhere. The thing that you know about Star Wars fans is that, in all honestly, a lot of the costumes they made are even better than what's used on-screen at certain points." "So I had no worry that it would hold up and it sure held up. And as much as their armour is accurate - they look like stormtroopers - they act like Stormtroopers. They know what to do." Jon Favreau said "What was so funny was how surprised some of them looked because I didn't realise that they weren't told what it was for." Dave Filoni said "And then we realised too everything that we rolled out in front of them was almost a test audience. And we would sit there as something would roll out and go 'Ooh, they seemed to like that'. So that was fascinating". TV CRITIC's NOTEBOOK. I said no to Steve Hofmeyr years ago - then South African Afrikaans television finally caught up and rightly said no but in one of the worst ways possible. After years South African Afrikaans television finally seemed to have caught on that Steve Hofmeyr is no longer as they say in marketing terms "a good fit for our brand" - and then clumsily stumbled ahead in the worst and wrongest way possible to do the right thing to get distance from him. MultiChoice and M-Net's Afrikaans channel division kykNET are absolutely right for finally drawing a line between the DStv pay-TV service and the race-baiting Afrikaans singer this past week with MultiChoice in a statement saying "we take a stand against racism". However, MultiChoice as a sponsor and kykNET inflicted a lot of unnecessary damage and were wrong to directly interfere in a televised music award show by demanding the removal of a music video as a nominee. Quite a number of years ago, the SABC invited some journalists - me included - to media event entitled "An evening with Pasella featuring Steve Hofmeyr" as part of the SABC2 Afrikaans magazine show Pasella. I responded and told the SABC2 publicist Caroline Phalakatshela thank you but that I decline and that although I would love to attend a Pasella event that is part of the South African public broadcaster, that I won't ever attend something where Steve Hofmeyr features since it's my personal belief and opinion that he is actually racist. A while afterwards I then spoke to another longtime TV critics and discovered that the person who was also invited, also declined the invitation, and also declined for the exact same reason. Yet at the time, Afrikaans media and Afrikaans television simply couldn't get enough of their "Steve". The Afrikaans weekly magazine Huisgenoot's had an utter obsession with a rude and arrogant Steve (who eventually threw tea in the face of Esmare Weideman as then-editor of Huisgenoot/YOU at Sun City), to kykNET (DStv 144). M-Net's kykNET continued courting him with multiple ongoing invites to make appearances on all kinds of music, variety, entertainment magazine, talk show and other programmes and even the Kwêla couch time after time after time, while even SABC2 couldn't dish up enough Steve for viewers. Long before "fake news" was coined by Donald Trump, it was M-Net that gave Steve Hofmeyr a platform on kykNET where his longrunning Dis Hoe Dit Is Met Steve Afrikaans talk show with multiple repeats would often broadcast "fake news" left totally unchecked and unfiltered by kykNET and slurped up by its Afrikaans audience. Just one broadcasting example: On Dis Hoe Dit Is Met Steve on kykNET, Steve would laugh heartily and repeat when one of his former co-stars from the SABC's former Afrikaans drama series Agter Elke Man (Behind Every Man) Sulette Thompson would spout utter trash that there can't be a rebroadcast on the SABC or anywhere of their erstwhile show else because the public broadcaster had "lost" the tapes. The truth is that no tapes were lost. In fact, MultiChoice helped the SABC to digitise the series from the original tapes and the show saw rebroadcasts on not just kykNET but also the SABC's SABC Encore (DStv 156) channel. It's small things in the bigger scope of things, but notable because I saw it and noticed a similar behavioural trend in the way that you're not surprised eventually when, years later, you see what happens to personalities like a Paula Deen or a Bill O'Reilly. Steve Hofmeyr who would increasingly make racist comments, do race-baiting with for instance a photo with the old South African flag, and spout disgusting things like "black are the architects of apartheid" went on to become a more and more polarising and divisive personality - not just within the broader Afrikaans community but in South Africa as a whole. This continued until it finally simply became just too untenable and unpalatable for major companies, national brands and arts festivals from the Klein Karoo National Arts Festival (KKNK) to Inniebos, and even rugby to be associated with him. He is the reason brands from Media24, Pick n Pay, Land Rover, Toyota and MTN to MultiChoice withdrew as sponsors from events where he was included. Cue the kykNET Ghoema Music Awards 2019 where the organisers and judges this year selected a music video, Die Land (The Land) as one of the three nominees for its Best Music Video category in which several Afrikaans artists appear but also featuring Steve Hofmeyr. Viewers already voted for the category, paying money. Other Afrikaans singers who are not Steve Hofmeyr stood a chance to win who happened to appear in the same music video. 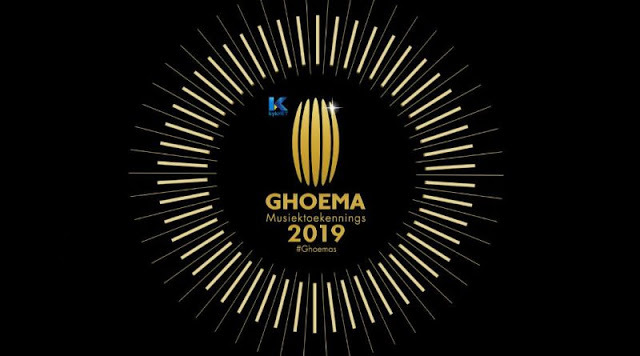 And the organisers and judges of the Ghoema Music Trust already independently selected it as one of the shortlisted nominees. It's absolutely correct for MultiChoice and its kykNET channels to want to get distance and not be involved with anything "Steve Hofmeyr" going forward. It's also their free choice of free association. Where MultiChoice and kykNET however made a big mistake was to interfere in an award show by demanding the removal of a nominee after the nominees were announced. Imagine a sponsor of the independently-run Grammys or MTV Music Awards in the United States ordering the organisers to remove a nominee? It would be a massive scandal. The selection and choice of winners and shortlisted nominees in competitions and TV award shows are sacrosanct - it's preposterous and unheard of for a sponsor to demand terms like the removal of a nominee from a category in a competition. Instead, MultiChoice and kykNET should have just left it and have withdrawn their support completely without making ultimatums that interfere with the nominees, categories and judging. MultiChoice isn't a judge of the competition but a sponsor. MultiChoice and kykNET as sponsor and broadcaster should very clearly, and much, much earlier, have said something like "we distance ourselves in the strongest possible terms from this person", have stated explicitly why, and then also that it would no longer support the Ghoemas in future if Steve is included or anywhere close-by. This shocking interference damages and did damage to the credibility of the Ghoema Music Awards. Both the public and singers will no longer trust it, or trust it less. And talking about trust, how did Steve Hofmeyr's son Devon get inside the venue without a ticket with a friend where he planned to and deliberately cause a disruption? Where is the security and what is the security arrangements at the Ghoema Music Awards like? As a journalist I attend a lot of stuff and public events for broadcasting and do set visits where access control is of the utmost importance and very secure. Clearly it's somehow not at the Ghoemas. In addition, the communication from MultiChoice, kykNET and the Ghoema organisers to manage perceptions and the resultant fallout from the swirling controversy on a consumer level as well as within the broadcasting industry was inadequate, slow, reactive and basically non-existent. This caused additional brand, perception and credibility damage to the awards show - of which there isn't a lot in existence in South Africa to start with, meaning the existing ones should be carefully nutured. kykNET also seems to shy away from openly talking, engaging with the media and discussing its stance as a TV channel, its decisions and its policies going way forward. Days later after the awards show here at TVwithThinus we're still waiting for instance on kykNET and the kykNET Ghoema Music Awards organisers to answer very basic broadcasting-related questions. What is kykNET's reaction? If MultiChoice distanced itself from a new music video in which Steve Hofmeyr appears, has kykNET place the kibosh on the airing of any of his music videos, series or on-air appearances across its channels set like Kwêla couch interviews? Why was the scheduled live award show broadcast scuppered and media not told well ahead of time? And how will people who had spent money to vote for the removed music video get a refund? MultiChoice, kykNET and the kykNET Ghoema Music Awards 2019 organisers also knew for weeks in advance what they were doing and changing, but all chose to sit silently, not being open with the public and the industry, waiting until the bomb exploded this week. I also feel bad for the other Afrikaans singers not connected or related to Steve Hofmeyr who got caught up in the maelstrom of an impossible situation not of their making. They were thrown out as the bathwater together with the baby - and that was wrong. And how can they protest or raise their voices legitimately over undue creative and judging interference without making it look as if they support Steve Hofmeyr - something that would conflate two different issues? South Africa's Afrikaans television was finally forced to confronted an issue - and someone - it should have addressed and have dealt with a long time ago. It however did so clumsily and it did so in a wrong way by far overstepping its role through meddling in the organising of an awards show. Yet the sentiment and message from MultiChoice and kykNET that shines through are very clear: That as a TV business they won't tolerate racism. Institutionalised action often follows long after public sentiment. I soured on Steve Hofmeyr more than a decade ago. I'm just glad that the TV broadcast media in the country finally caught up as well. ALSO READ: Ongoing silence from kykNET as DStv's Afrikaans channel remains quiet over questions around its handling of the kykNET Ghoema Music Awards 2019 controversy. ALSO READ: Afrikaans singer Demi Lee Moore after winning Best Music Video at controversial kykNET Ghoema Music Awards 2019 honours artists from removed nomination as Steve Hofmeyr's son is told to leave the auditorium. ALSO READ: MultiChoice orders the kykNET Ghoema Music Awards to remove Steve Hofmeyr as nominee, as kykNET dumps it as a live broadcast, after which singers now say they will boycott tonight's awards show. The Walt Disney Company's upcoming new video streaming service, Disney+, not launching in South Africa until at least 2022 since Africa is not listed as one of its 'major regions'. The Walt Disney Company's video streaming service Disney+ that it will launch in November 2019 in the United States and make available internationally in other key territories won't include South Africa or anywhere else in Africa for at least 2 years, since Disney doesn't consider the continent one of its "major regions". Its decision not to roll out Disney+ as its new subscription video-on-demand (SVOD) service in South Africa and across the African continent, will lead to a high possibility that some of its buzz-making content currently produced exclusively for Disney+ will be grabbed, downloaded, shared and watched illegally through pirate content means. With the expansion of broadband internet access and an explosion in illegal content downloads, MultiChoice recently told South Africa's broadcasting regulator, Icasa, that it "estimates that more than 2 million people view pirated versions of the series and movies available on DStv in South Africa". Disney stands to lose revenue, audience retention and would-be Disney+ consumers in South Africa who will move on and find the content elsewhere with Disney+ that plans to release more than 25 original series, 10 original films, documentaries and specials during its first year. 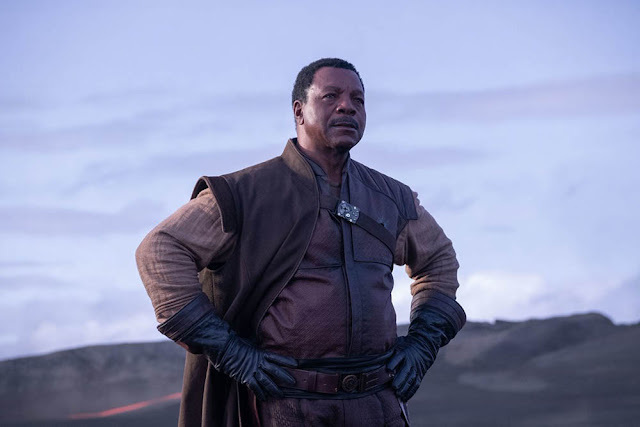 South African video content consumers simply won't wait to watch buzzy new series specifically produced for Disney+ - ranging from the first Star Wars live-action drama series The Mandalorian, to a live-action High School Musical series, Marvel series like Loki with Tom Hiddleston reprising his film role, as well as The Falcon and The Winter Soldier; including a growing collection of animation series ranging from a revived Star Wars: The Clone Wars and Monsters at Work. Disney that currently runs the linear TV channels Disney Channel, Disney XD and Disney Junior channels in South Africa and across the continent on MultiChoice's DStv satellite pay-TV service, says Disney+ "will offer fans of all ages a new way to experience the unparalleled content from the company's iconic entertainment brands, including Disney, Pixar, Marvel, Star Wars and National Geographic, and will be available on connected TV and mobile devices". 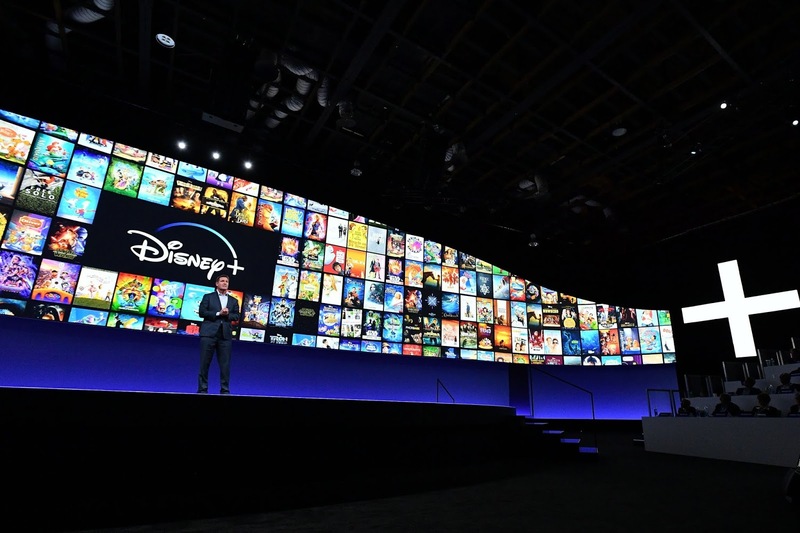 Disney Africa was asked for clarity about whether and when Disney+ would be launching in South Africa and the African continent. If Disney+ isn't launched in South Africa, Disney Africa was also asked whether the content would then be made available through Disney's international distribution division for other linear TV channels to acquire, for instance M-Net (DStv 101) or FOX (DStv 125 / StarSat 131 / Cell C black 201) that previously and currently broadcast shows from Disney Television Studios and 20th Century Fox Television (now both owned by Disney). 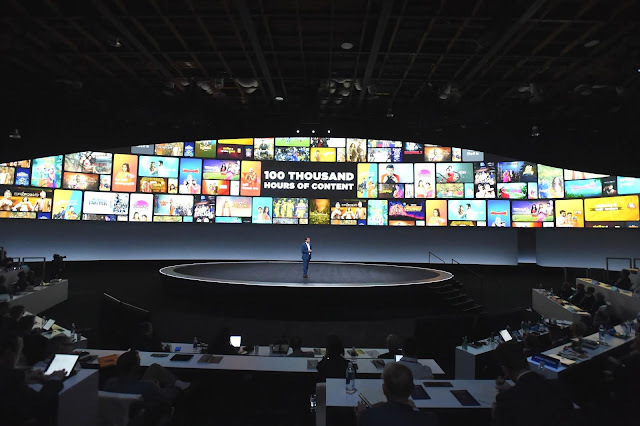 The local Disney spokesperson said Disney South Africa didn't have any comment on the specific questions about the future of Disney+ for the African continent and referred TVwithThinus to the press statement that Disney issued following its Disney+ presentation it made as part of its investor day at Disney's Burbank lot in Los Angeles, California on 11 April. In its statement, Disney that will launch Disney+ on 12 November at a subscription fee of $6.99 (R98.26) per month, says "following its United States debut, Disney+ will rapidly expand globally, with plans to be in nearly all major regions of the world within the next two years". Together with the words "nearly all major regions" in its statement, the slides for Disney+ that form part of its investor day presentation however shows that Africa is not included as one of these "major regions" - at least not for the next two and a half years. In its "global roadmap" slide, The Walt Disney Company showed that after launching Disney+ in North America, it will also launch its video streaming service in its 2020 financial year in the Asia-Pacific region that includes countries like Australia, New Zealand and India. 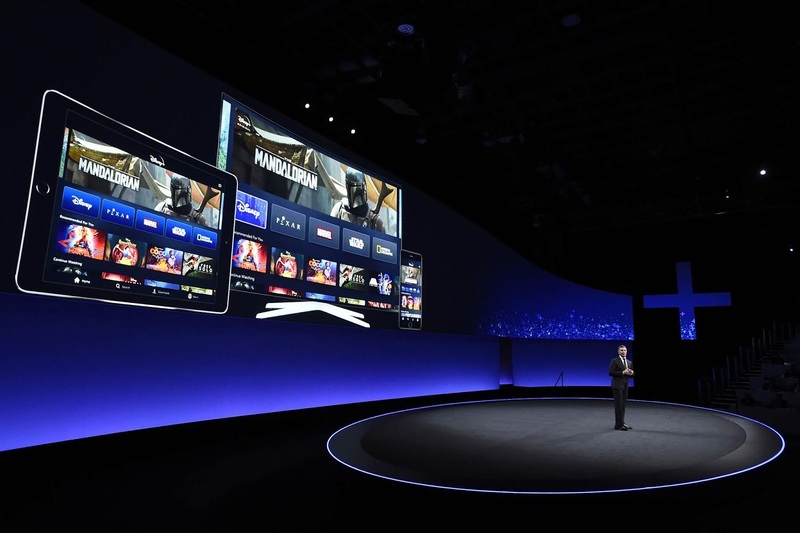 Disney indicates specifically that it will roll out Disney+ in Western Europe, meaning the United Kingdom and surrounding countries in 2020, with Eastern Europe following a year later in 2021. South America will also get Disney+ in 2021. 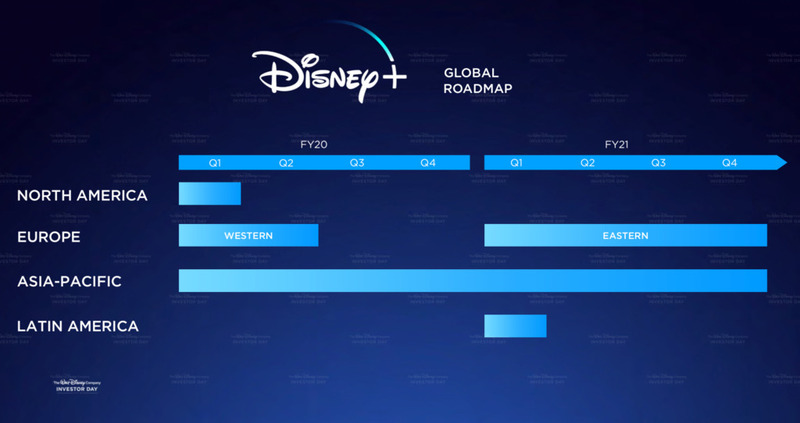 These "major regions" exclude any mention or indication of Africa and South Africa, as well as the Middle East which at the earliest could possibly get Disney+ in 2022 or beyond. 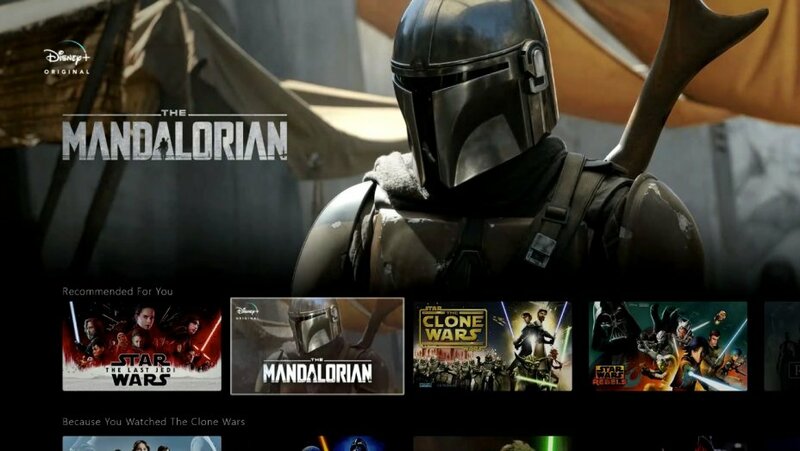 It's not clear whether the broadcasting rights to content ranging from The Mandalorian to Monsters at Work would be made available by Disney to local channels in South Africa during the period that Disney+ doesn't have a commercial footprint with its streaming service in the country. In the years before Netflix South Africa launched, Netflix sold the licensing rights to drama series like House of Cards and Orange is the New Black to M-Net, with House of Cards now also on SABC3 as well. Amazon Studios sold its drama series like Mozart in the Jungle, Transparent and Deutschland 83 to M-Net as well before Amazon Prime Video launched in the country, and M-Net also snapped up Hulu Originals like The Handmaid's Tale, The Path and Castle Rock while MultiChoice's SVOD service Showmax grabbed Marvel's Runaways and Future Man. New Star Trek Jean-Luc Picard drama series adds Alison Pill, Harry Treadaway and Isa Briones. 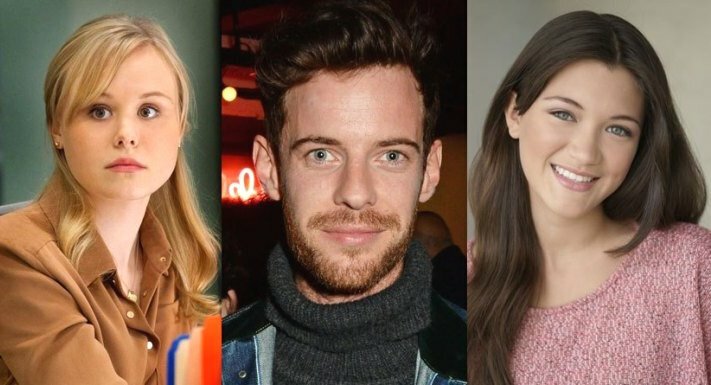 The new as-yet-untitled Star Trek Jean-Luc Picard drama series has added Alison Pill, Harry Treadaway and Isa Briones. They join the previously announced cast members Santiago Cabrera, Michelle Hurd and Evan Evagora. Star Trek: Discovery, currently in its second season and renewed for a third is available on Netflix and Netflix South Africa outside of the United States and Canada, but it's becoming increasingly more likely that the Picard Star Trek series, once completed, would be seen on M-Net (DStv 101) and MultiChoice's subscription video-on-demand (SVOD) service. The Picard Star Trek series, produced by CBS Television Studios in association with Secret Hideout and Roddenberry Entertainment, similar to Star Trek: Discovery, is however going to be distributed internationally by CBS Studios International. There's been growing rumblings that Netflix as a Star Trek: Discovery partner and that basically paid for the CBS All Access series, is allegedly unhappy about the direction, and hugely negative and dismal viewer reaction of the costly far-over-budget series and won't take and the Picard series. The new Star Trek series featuring Patrick Stewart will see him reprising his iconic role as Jean-Luc Picard which he played for seven seasons on Star Trek: Next Generation, with rumours circulating that he will be reflecting back and trying to make changes after he's been part of Starfleet's nefarious and undercover Section 31 spy unit. So far Alex Kurtzman, James Duff, Akiva Goldsman, Patrick Stewart, Michael Chabon, Heather Kadin, Rod Roddenberry and Trevor Roth are the executive producers, with Aaron Baiers from Secret Hideout as co-executive producer. Halo finds its Master Chief in Pablo Schreiner for its live-action TV drama series; adds Australian actress Yerin Ha as a new female character, Quan Ah. The producers of Halo have cast Pablo Schreiber as its Master Chief in the live-action TV show based on the hugely popular video game, with Yerin Ha who will also be joining the drama series as a new female character, Quan Ah in the Halo universe. The drama series from Showtime, based on the iconic Xbox video game franchise has cast Pablo Schreiber as Master Chief, Earth's most advanced warrior in the 26th century. The Master Chief is the only hope of salvation for a civilization pushed to the brink of destruction by the Covenant, an unstoppable alliance of alien worlds committed to the destruction of humanity. The Australian actress Yerin Ha will play a new character within the Halo world: Quan Ah, a shrewd, audacious 16-year-old from the Outer Colonies who meets Master Chief at a fateful time for them both. Halo is produced by Showtime in partnership with 343 Industries, along with Steven Spielberg's Amblin Television and will begin production around September 2019 in Budapest, Hungary. Halo will be distributed internationally by CBS Studios International. That makes it extremely likely that the drama series will end up in South Africa and Africa shown on M-Net (DStv 101) and MultiChoice's subscription video-on-demand (SVOD) service Showmax. 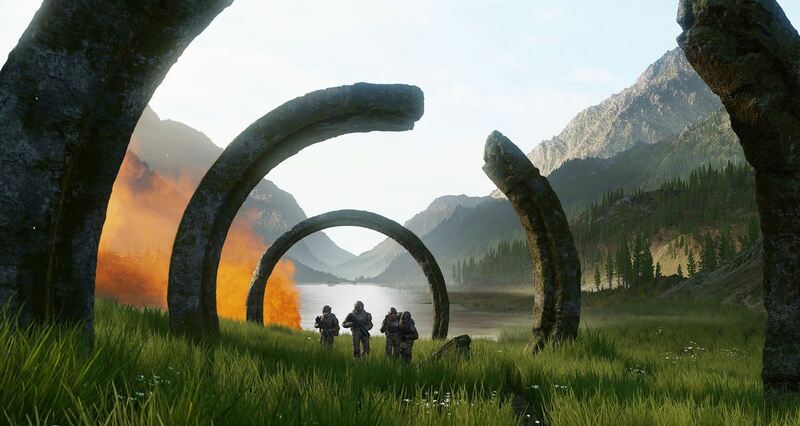 The Halo producers in a statement says "Halo will weave deeply drawn personal stories with action, adventure and a richly imagined vision of the future". Kyle Killen and Steven Kane are serving as co-showrunners and executive producers. Halo is also executive produced by Darryl Frank and Justin Falvey for Amblin Television in partnership with 343 Industries. The director will be Otto Bathurst and Toby Leslie for One Big Picture, Scott Pennington for Chapter Eleven, and Karen Richards. The Disney Channel renews its animation series, Big Hero 6, for a third season ahead of the debut of its second season. 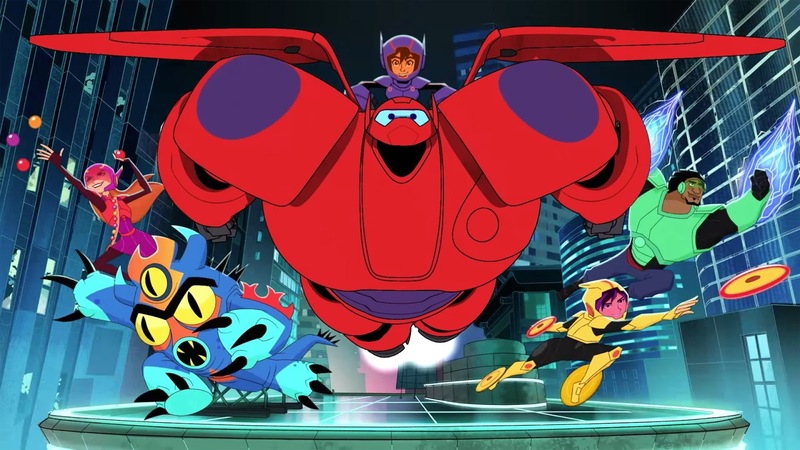 The Disney Channel (DStv 303) has renewed its animated series Big Hero 6 for a third season ahead of the debut of its second season. The guest voice-cast of the second season of Big Hero 6 includes Nestor Carbonell as Chief Cruz, San Fransokyo's new police chief; Isabella Gomez as Hiro's new friend Megan; Ben Feldman as Chris, Liv Amara's assistant; Will Friedle as Ian, Krei's geeky scientist; Jane Lynch and Timothy Simons as Supersonic Sue and Supersonic Stu, a grandmother/grandson super villain duo; Jessica Paré as acrobatic thief Sirque; and Horatio Sanz as El Fuego, a Mexican wrestler. Big Hero 6 is based on The Walt Disney Animation Studios' Oscar-winning film and continues the adventures and friendship of 14-year-old tech genius Hiro, his compassionate, cutting-edge robot Baymax and their friends Wasabi, Honey Lemon, Go Go and Fred. Together they've formed the legendary superhero team Big Hero 6 and embark on high-tech adventures as they protect their city from an array of scientifically enhanced villains. In the second season, Hiro and the Big Hero 6 team have upgraded super suits as they take on a variety of innovative villains, bio-engineered monsters and high-tech robots. The series' regular voice-cast includes Maya Rudolph as Aunt Cass, Ryan Potter as Hiro, Scott Adsit as Baymax, Jamie Chung as Go Go, Alan Tudyk as Alistair Krei, Khary Payton as Wasabi, Genesis Rodriguez as Honey Lemon, Brooks Wheelan as Fred, David Shaughnessy as Heathcliff and Marvel Comics legend Stan Lee as Fred's dad. Mark McCorkle, Bob Schooley and Nick Filippi are the executive producers with Nick Filippi also serving as supervising director. Shock and anger as there won't be any TV broadcast of 2019's 50th Old Mutual Two Oceans Marathon on Saturday; followed by a TV-blackout of the 94th Comrades Marathon in June looming next. 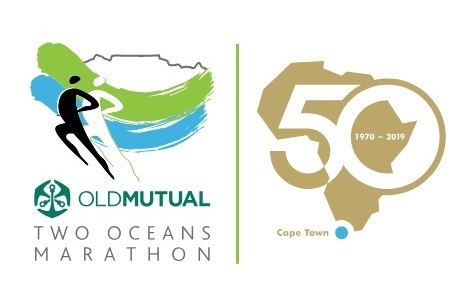 There are shock and anger with even more coming on Saturday when viewers will discover that there won't be any TV broadcast of the 50th Old Mutual Two Oceans Marathon on South African television. Despite its special 50th anniversary, the Two Oceans Marathon won't be seen on the SABC, e.tv or any of the SuperSport channels on MultiChoice's DStv on Easter Saturday, with people who want to watch it who will have to find an online video live-stream of the iconic ultra-marathon race. Athletics South Africa (ASA) in a statement only says "the ASA and SABC no longer have a contract. There are ongoing efforts and negotiations to find a replacement host broadcaster" but that doesn't explain what has really happened and what the underlying cause of the non-televised event is. The Western Province Athletics (WPA) in a statement says " The WPA has a long and proud association with the Two Oceans Marathon, who will be hosting their 50th milestone marathon on 20 April 2019". "As a marquee event on the WPA calendar, the Two Oceans Marathon has for many years enjoyed live broadcast coverage of the race through the partnership between Athletics South Africa and the SABC. Regrettably, the WPA wishes to inform our running community and the public at large, that the SABC will not be providing live coverage this year." The Two Oceans Marathon is an event of the Association of International Marathons and Distance Races (AIMS). 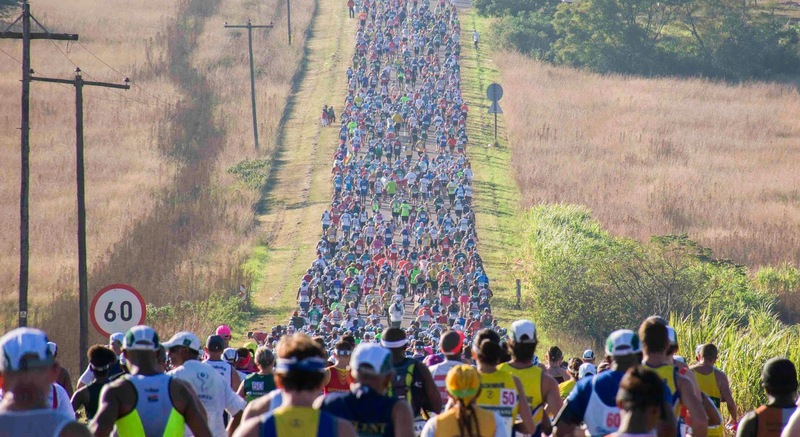 Therefore, The Two Oceans Marathon falls under, and must go along with the ASA as its governing body and can't unilaterally on its own negotiate broadcasting rights with broadcasters. All the broadcasting rights of all athletics events in South Africa lie with Athletics South Africa (ASA), irrespective of their status. At the moment the South African public broadcaster is on the edge of financial collapse and there is no contract in place between the SABC and ASA. With the SABC out of money, and no contract, it makes the broadcast of the Two Oceans Marathon impossible. The same threat is looming for the Comrades Marathon taking place on 9 June and which used to be shown on the SABC's SABC2 channel. Since it is also an athletics event, also falling under ASA, and with no contract, as it stands at the moment, the 94th Comrades Marathon in South Africa, just like the 50th Two Oceans Marathon on Saturday, won't be shown on South African television. Ongoing silence from kykNET as DStv's Afrikaans channel remains quiet over questions around its handling of the kykNET Ghoema Music Awards 2019 controversy. M-Net's Afrikaans kykNET channels division is still silent with director Karen Meiring who has not responded with any answers in media enquiries the past two days to questions around pertinent issues around the channel's handling of its kykNET Ghoema Music Awards 2019 awards show that was plunged into controversy this week. kykNET, that appears to have managed the controversy involving its Afrikaans channel brand badly, has been asked since Wednesday afternoon and several times since, for comment from the channel specifically pertaining to channel management, channel brand, policy and strategy issues. 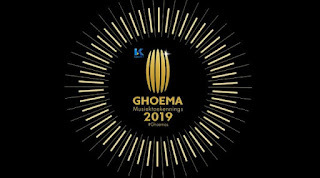 The controversy surrounding the kykNET Ghoema Music Awards 2019 came follows after an ultimatum from MultiChoice as the main sponsor, ordering that a music video nominee featuring Steve Hofmeyr, be removed from the Afrikaans music awards show. The singer Steve Hofmeyr who had a long-running Safta-winning talk and variety show, Dis Hoe Dit Is Met Steve for several years on kykNET (DStv 144) since 2001, has increasingly courted public controversy and acrimony the past few years. With provocative public statements, as well as ongoing race-baiting comments and images on social media like saying "blacks are the architects of apartheid" and supporting the old South African flag, the singer has increasingly become a polarising and persona non grata public figure within the Afrikaans and broader South African community. Steve Hofmeyr happened to appear in the Die Land (The Land) music video that was a nominee in the category for Best Music Video at the kykNET Ghoema Music Awards 2019. Besides him, it features several other Afrikaans singers like Bok van Blerk, Bobby van Jaarsveld, Jay, and Touch of Class. The badly-attended awards show managed by the Ghoema Music Trust - likely due to the resulting controversy that made talent and ticket-buyers rather stay away - took place on Wednesday evening at the Sun Arena at Times Square in Pretoria. kykNET originally scheduled it as a live awards show broadcast for Wednesday evening but then quietly dumped it without any notification to the media and shifted it to Saturday night, 20 April as an edited programme - likely out of caution and fear of possible live on-air disruption or messages it won't be able to prevent as part of a live broadcast. Several DStv subscribers on social media also indicated throughout Wednesday that they have called to cancel their DStv and kykNET channel pay-TV subscriptions and others who said they are going to do so. Meanwhile several Afrikaans singers like Bok van Blerk, Bobby van Jaarsveld, Dewald Wasserfall, Corlea Botha, Adam Tas, Nicholis Louw and Ruhan du Toit decided to boycott the awards show and were no-shows. The Afrikaans singer Demi Lee Moore who won in the category for Best Music Video at the kykNET Ghoema Music Awards 2019 in her acceptance speech on-stage on Wednesday night honoured the 5 artists from the music video that MultiChoice as sponsor ordered to be removed. Steve Hofmeyr's son Devon and a friend were also told to leave the awards show venue after they somehow gained entry without tickets and tried to cause disruption. kykNET was asked since Wednesday about various issues that South Africa's TV industry has been wondering about. So far the channel has been silent, with only MultiChoice that is running the DStv satellite pay-TV service on which the kykNET channel is carried, issuing an overall statement, saying "We are committed to the building of a non-racial society and strongly condemn any acts of discrimination" and that the company "welcomes a society where freedom of speech is celebrated, however we take a stand against racism". On Thursday morning kykNET spokesperson Suzaan Keyter told TVwithThinus that it wasn't possible to respond to media enquiries on Wednesday since kykNET staff were all at, and busy at, the venue. kykNET was again asked for answers to the various questions on Thursday morning and Thursday before the close of day but by Friday kykNET still hasn't responded to the media. No explanation has yet been forthcoming as to why kykNET couldn't respond to media enquiries on Thursday the day after the kykNET Ghoema Music Awards 2019. Karen Meiring was asked for reaction from kykNET as a channel over MultiChoice as a sponsor ordering the Ghoema Music Awards to remove a nominee after nominees were chosen and announced. 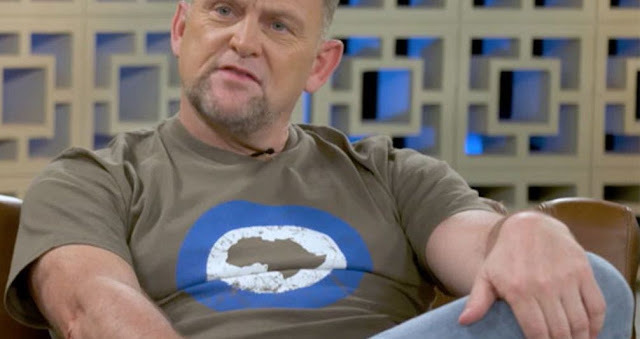 kykNET was also asked for its reaction over the Afrikaans singers not connected to Steve Hofmeyr, who said - and then went through - with their boycott of the kykNET Ghoema Music Awards 2019. With MultiChoice refusing to support and distancing itself from a new music video in which Steve Hofmeyr appears, kykNET was asked whether kykNET as a channel on DStv is still allowed to schedule and broadcast Steve Hofmeyr music videos - in other words, whether any type of ban, block or policy decision has been placed or made at M-Net regarding the future airing of any of his entertainment work on kykNET. kykNET was also asked for the channel's response to DStv subscribers who said that they have called and cancelled their DStv subscriptions and customers who said that they intend to, and also what kykNET's message is to the channel's viewers in the light of events. kykNET was also asked how viewers and consumer who had voted and spent money on voting for Die Land music video in the category before it was removed from the kykNET Ghoema Music Awards 2019, would be paid back or refunded, and whether this is at all possible. ALSO READ: TV CRITIC's NOTEBOOK. I said no to Steve Hofmeyr years ago - then South African Afrikaans television finally caught up and rightly said no but in one of the worst ways possible. 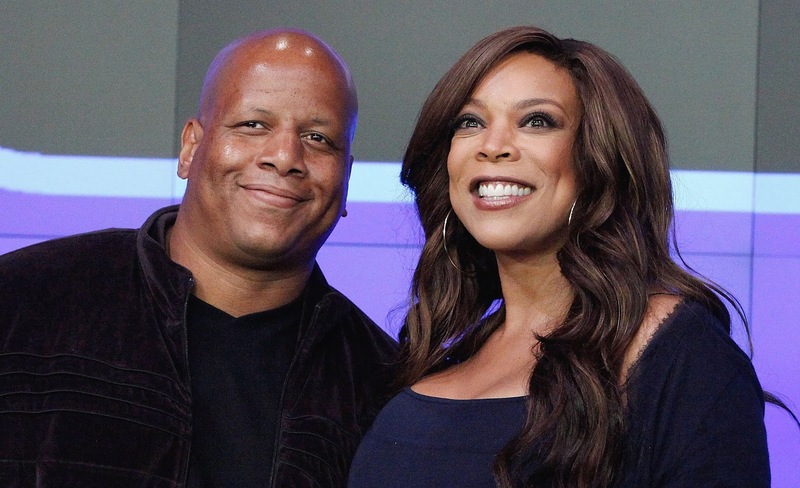 Wendy Williams' husband Kevin Hunter fired as executive producer of The Wendy Williams Show seen on BET. Kevin Hunter, the husband of Wendy Williams has been fired as executive producer of The Wendy Williams Show, seen on Viacom Africa's BET (DStv 129) channel. It comes after Wendy Williams announced that she is filing from divorce from Kevin Hunter who she has been married to for 20 years. Kevin Hunter has served as Wendy Williams' manager and an executive producer on her show. Meanwhile The Daily Mail reports that Kevin Hunter has been given 48 hours to get out of the house, while the expensive, brand-new gold Ferrari Portofino that he bought for his mistress has been repossessed and towed away. Wendy Williams returned to host her show on 4 March last month after taking extended time off. She had been living in a sober house to deal with alcoholism as she struggled to regain control of her life and talk show while her personal life continued to spiral out of control, plagued by rumours about her failing health and crumbling marriage. Wendy Williams started her latest struggle with addiction after her right shoulder injury in December when she said she fell and took an extended break from her show. Wendy Williams relapsed and got drunk after Sharina Hudson, who has been having an extra-marital affair with Kevin Hunter, gave birth in Philadelphia last month to their child. When she returned to her show Wendy Williams told viewers "I'm still very much in love with my husband and anyone who's been married. Marriages have ebbs and flows, marriage isn't easy. And don't ask me about mine until you see this gone. And it ain't going anywhere, not in this lifetime." Now she has filed for divorce citing in court documents "irreconcilable differences between the parties which have caused the breakdown of the marriage for a period of six months," and that there is "no reasonable prospect of reconciliation." Kevin Hunter has now also been fired as executive producer and been locked out of the show's production office with passcodes changed, according to Entertainment Tonight. It's not yet clear whether he would be continuing in his role as Wendy Williams' manager, although multiple sources have told American media outlets that he will soon be fired from this role as well. "Kevin Hunter is no longer an executive producer on The Wendy Williams Show," Debmar-Mercury wishes him well in his future endeavours," Debmar-Mercury that produces the weekday talk show, confirmed on Thursday in a statement. Kevin Hunter in a statement said "I am not proud of my recent actions and take full accountability and apologize to my wife, my family and her amazing fans. I am going through a time of self-reflection and am trying to right some wrongs." MultiChoice and M-Net widen 1Magic access, are making the TV channel available to DStv Compact Plus subscribers as well. M-Net is widening the reach of its 1Magic (DStv 103) TV channel that has been made available from Thursday 18 April to DStv Compact Plus subscribers as well. The channel, carrying shows like the local telenovela The River, has until now only been available for DStv Premium subscribers, the top-tier package, when the VUZU AMP channel was rebranded as 1Magic. The bigger accessibility comes one day before the launch of the new format reality show produced by Rapid Blue, One Night with My Ex starting on Friday 19 April on the channel and in which ex-lovers shack up for one night a cameras roll to see if there's any love left. "Last year, we announced that 1Magic would replace VUZU AMP to make the channel a new home of entertainment for our DStv Premium viewers. This was informed by our drive to invest in local content by showcasing local hit shows alongside international content," says Nkateko Mabaso, M-Net CEO. "Now as our own way to turn up the heat this winter and keep our viewers on their couches, we have decided to give an added incentive for our DStv Compact Plus subscribers to bring the best entertainment to their living rooms." MultiChoice's MultiChoice Talent Factory film internship programme in Africa partners with the New York Film Academy to help train emerging filmmakers. In a big step forward for upskilling Africa's young and emerging filmmaking talent, MultiChoice's recently-launched MultiChoice Talent Factory film academy has partnered with the New York Film Academy (NYFA) that will help with training and opportunities for students as part of a groundbreaking collaboration. While M-Net runs the M-Net Magic in Motion Academy film academy programme in South Africa, MultiChoice extended it into the rest of Africa in 2018 with the MultiChoice Talent Factory running three film school internship programmes in Zambia for Southern Africa, Kenya for East Africa and in Nigeria for West Africa. MultiChoice says that the endorsement of the MultiChoice Talent Factory by the New York Film Academy confirms the film school's continued efforts to empowering and developing filmmakers. "This groundbreaking collaboration speaks to our commitment to partnering with industry experts such as the New York Film Academy to promote and protect the growth of Africa’s creative industries,” says Cheryl Uys-Allie, MultiChoice Talent Factory director. "Our East Africa academy director, Njoki Muhoho is a NYFA alumni, having studied filmmaking at the Los Angeles campus and we’re excited to be collaborating with the New York Film Academy in being able to offer incredible opportunities to our students and the sector as a whole." Jim Miller, New York Film Academy vice president, says "The New York Film Academy is honored to be a part of the enrichment, development, and fostering of storytellers across Africa, a continent steeped in a rich history of dynamic, creative and passionate visual and performing artists". "Over the years, NYFA has been privileged to have hosted hundreds of students from dozens of African nations, many who have found outstanding success in their national industries when they returned home." "This MTF and NYFA collaboration is a natural extension of our commitment to help bolster the skills of talented African storytellers." M-Net's Carte Blanche entry in Best Documentary Short category for 13th Saftas disqualified and removed; NFVF will now choose a winner from the remaining two nominees. 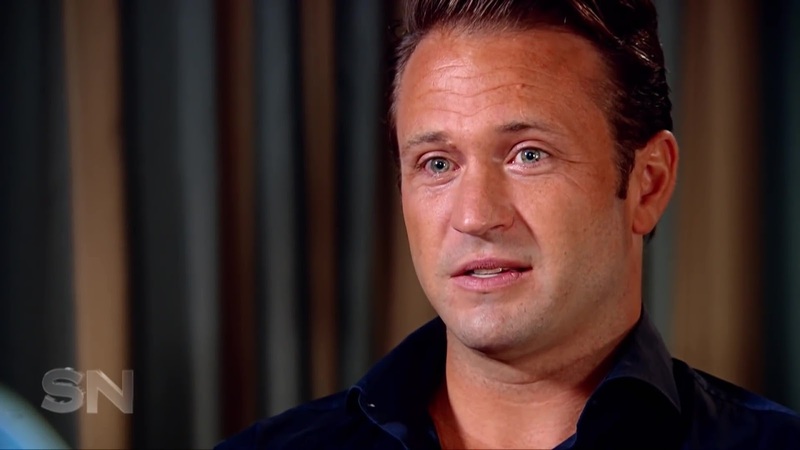 The entry of an insert submitted by M-Net's Carte Blanche current affairs show in the Best Documentary Short category for the 13th South African Film and Television Awards (13th Saftas) has been disqualified and now removed after a fight over ownership of the content started, with one of the remaining two nominees who will be chosen as the winner. One of many controversies once again erupted and marred the National Film and Video Foundation's 13th Saftas that took place in March,one of which was the quiet dumping of awarding a winner in the Best Documentary Short category that was just suddenly missing. The NFVF, Saftas organisers and PR company Instinctif didn't bother to alert or notify the media either before or after the 13th Saftas on SABC2 that the Best Documentary Short category and a winner for it, has been removed from the line-up. In February the NFVF announced the three nominees in the Best Documentary short category as "Follow the Guns" from Combined Artistic Productions producing Carte Blanche on M-Net (DStv 101) and that broadcast it on Carte Blanche, Someone to Blame - the Ahmed Timol Inquest from EMS Productions CC that was seen on SABC3, and Scenes from a Dry City from SaltPeter Productions CC. After multiple media enquiries, the NFVF said that "We are aware of the current dispute regarding ownership of some of the content submitted for consideration in our Best Documentary Short award category." "Until the matter is resolved between the two parties, we have decided to withdraw the awarding of any prizes in that category, as we believe the outcome may have a material impact on the overall determination of the successful nominee." Now it turns out that it was the Carte Blanche nominee with the NFVF telling TVwithThinus that "Carte Blanche's entry has been disqualified". "The NFVF received legal documentation pertaining to the dispute on the Intellectual Property Rights of one of the documentary films submitted under the Best Documentary Short category. A decision was taken to withdraw the category from the awards ceremony to allow the legal process to be concluded," says the NFVF. "Following the decision to withhold the announcement of the winner in the category, the NFVF referred the matter to the relevant Saftas adjudications panel for a final decision in accordance with a legal opinion received from its attorneys." "The award for this category will now be presented to a winner selected from the remaining nominees which shall be presented at a special award ceremony to be hosted by the NFVF, details of which will be communicated." 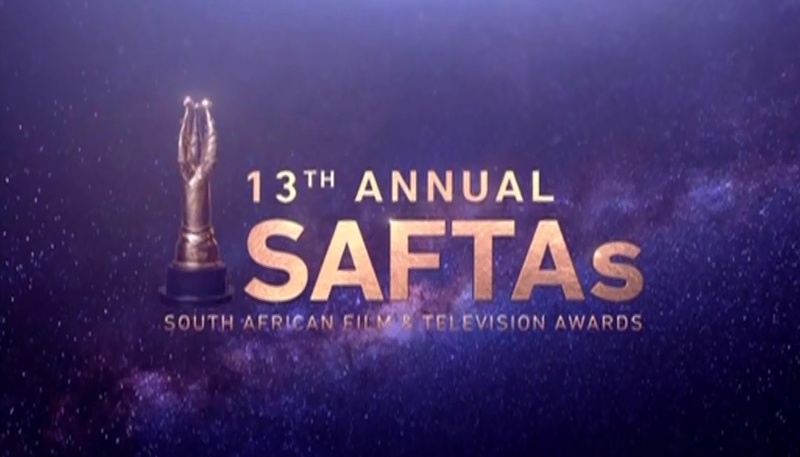 "The NFVF on behalf of the adjudications panel and the overall chairpersons of the Saftas, wishes to thank the industry at large and the nominees for their patience and support during this process," says the NFVF. 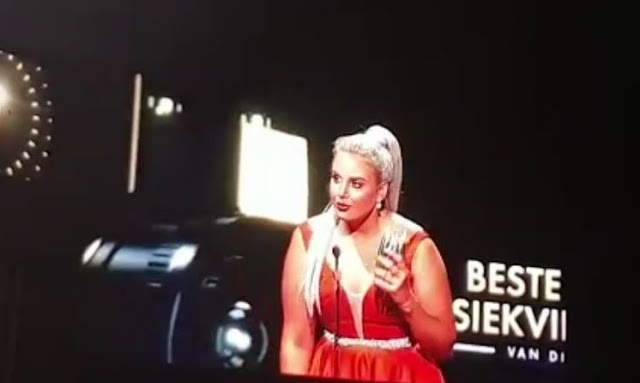 Afrikaans singer Demi Lee Moore after winning Best Music Video at controversial kykNET Ghoema Music Awards 2019 honours artists from removed nomination as Steve Hofmeyr's son is told to leave the auditorium. The Afrikaans singer Demi Lee Moore who won in the category for Best Music Video at the controversial kykNET Ghoema Music Awards 2019 on Wednesday night which kykNET (DStv 144) dumped as a live awards show broadcast, honoured the 5 artists from the music video that MultiChoice as sponsor ordered to be removed, while Steve Hofmeyr's son Devon and a friend were told to leave the awards show. In her on-stage acceptance speech at the kykNET Ghoema Music Awards 2019 at the Sun Arena at Times Square in Pretoria that was a very empty awards show due to the growing controversy, Demi Lee Moore showed solidarity with the artists of Die Land ("The Land") music video. The music video was nominated in the same category as Demi Lee Moore, after which MultiChoice, as a sponsor and kykNET, ordered the video to be removed since it featured the controversial singer Steve Hofmeyr who appears in it together with several other artists. MultiChoice on 25 March gave the Ghoema Music Trust an ultimatum and ordered the awards show to remove Steve Hofmeyr and one of his songs from the nominee list and told the organisers that MultiChoice will withdraw as a sponsor if this isn't done. The Land featuring Afrikaans singers like Bok van Blerk, Bobby van Jaarsveld, Jay, and Touch of Class, besides Steve Hofmeyr. Steve Hofmeyr as a white Afrikaans man has increasingly courted public controversy and acrimony the past few years with provocative public statements, comments and images about race on social media. In February 2019 for instance he tweeted a photo of himself on social media posing with the old South African flag and captioned it with: "Good rains. Found a waterproof roof. Mooi ne" meaning "pretty, right?" Demi Lee Moore in her acceptance speech said "I don't think I would have stood here if The Land wasn't removed. We are here to celebrate Afrikaans music and I feel that's what it should be about". "Luckily, it's not about be. It's about Christian Wolf that made my video, as we as The Land video. Johan Oberholzer who wrote Mis Eet Slaap Herhaal (Missing Eat Sleep Repeat) as well as The Land." "I want to share this with the 5 artists who are not being honoured here tonight. Furthermore I want to dedicate it to every person who still has hope in this land, who stays in this country, raising their kids in this country and who loves this country," Demi Lee Moore said. 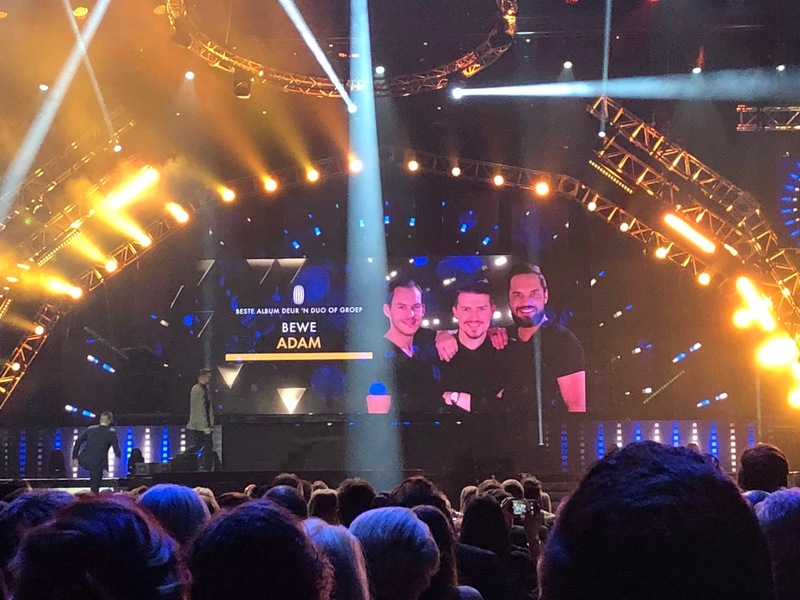 Several singers like Bok van Blerk, Bobby van Jaarsveld, Dewald Wasserfall, Corlea Botha, Adam Tas, Nicholis Louw and Ruhan du Toit decided to boycott kykNET's Ghoemas and were no shows on Wednesday, with sponsors Bok Radio and Immunadue who both pulled their sponsorships of the kykNET Ghoema Music Awards 2019. Meanwhile the kykNET Ghoema Music Awards 2019 told Steve Hofmeyr's son Devon and a friend who both showed up, to leave the awards show auditorium. Devon and a friend, Francois van der Merwe, were escorted out when it was discovered that they had no tickets. It's not clear how they gained entry to the music awards show. 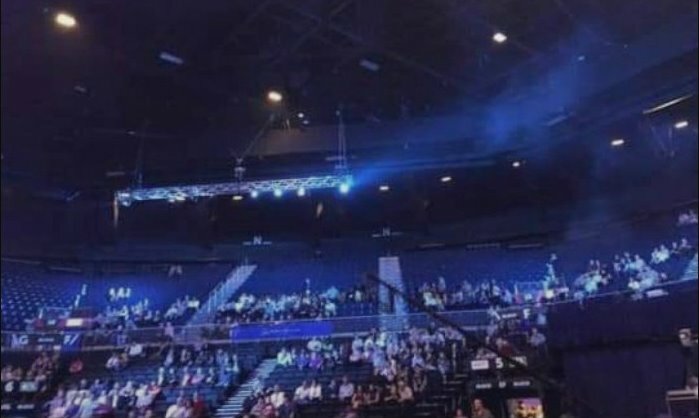 The controversy inflicted massive damage on the production of the kykNET Ghoema Music Awards 2019 with images of the very empty-looking auditorium that were shared on social media, and people who were asked to move to the front to fill up the empty seats. kykNET's spokesperson Suzaan Keyter and Karen Meiring, director of M-Net's Afrikaans kykNET channels have not yet responded with answers to multiple questions that were posed to the channel on Wednesday about the swirling kykNET Ghoema Music Awards controversy.